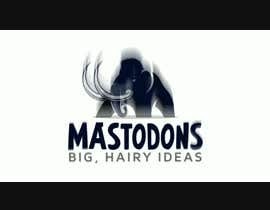 My logo has three components, the name of the project, Mastodons, the tag line, Big, Hairy Ideas, and the image of the mastodon (which looks like an elephant). I want the logo to come crashing down in components. 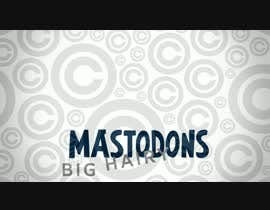 First will come the word Mastodons. It should drop down from the top with a crash sound. Then will come the tagline, one word at a time. 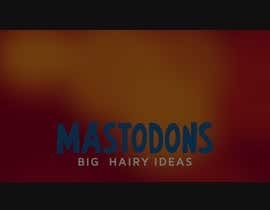 The words Big, Hairy, and Ideas will come down and arrange themselves under the word Mastodons. As they're smaller, the crash sound will be quieter. Then finally the mastodon itself will come crashing down on top. It's the largest, so it should have the biggest crash sound and crash effects. Maybe the weigh of it coming down will even crack the other words or disarrange them. Hey, I made the animation for the logo as per your requirements but unfortunately Contest was ended quickly. Here is the link of animation for your consideration.